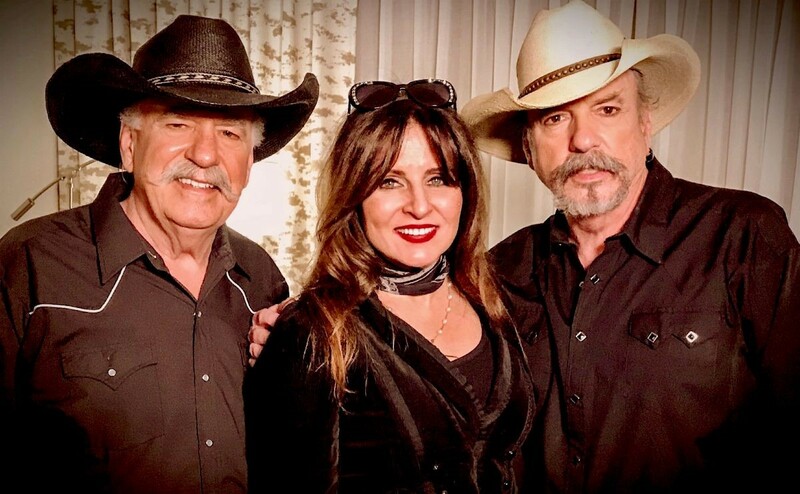 Tune In Alert: Deborah Allen Joins The Bellamy Brothers on ‘Honky Tonk Ranch’ | 2911 Enterprises, Inc.
NASHVILLE, Tenn. – Country music veteran Deborah Allen will make an appearance on The Bellamy Brothers’ hit television show ‘Honky Tonk Ranch,’ airing Sunday at 8:30 pm ET / 7:30 pm CT on The Cowboy Channel. Deborah Allen is always excited to join her friends, Howard and David Bellamy. Howard and David continue to prove that the trail they’ve ridden to fame has been as unique as their music itself—music that is now celebrating more than 40 years of success. The road that started on the pop music charts in the ‘70’s, took a winding turn into country music in the ‘80’s, paving the way for duos to come, such as Brooks & Dunn, Montgomery Gentry, Big & Rich and The Judds. “If I Said You Had A Beautiful Body (Would You Hold It Against Me),” originally scrawled on a dinner napkin by David, rocketed them to the top of the country charts the way “Let Your Love Flow,” had done in the pop market just a few years earlier. It proved to be the first of a string of 14 No. 1 singles in the U.S. alone. They’re the only U.S. country music act who’ve toured in India, Sri Lanka, New Caledonia and Qatar. The Bellamy Brothers hold the record in both the Academy of Country Music (ACM) and the Country Music Association Awards (CMA) for the most duo nominations. Numerous Grammy nods have also been directed toward the brothers. The Bellamys are also opening up their lives to television audiences with their new reality show, “Honky Tonk Ranch.” Each episode of “Honky Tonk Ranch” captivates viewers by the unpredictable misadventures the Bellamys face while balancing their globe-trotting touring schedule while running their sprawling family ranch in south Florida. “Honky Tonk Ranch” is executive produced by David Bellamy and directed, shot and edited by Derrek Kupish, CEO/founder of dkupish productions. “Honky Tonk Ranch” airs Sundays at 8:30 pm ET / 7:30 pm CT on The Cowboy Channel.